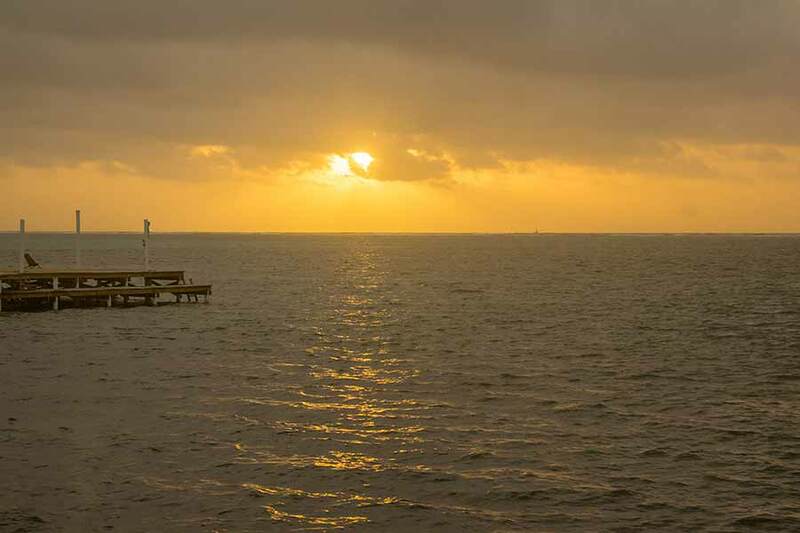 Belize NMS: Drier conditions setting in. Moist conditions will return by mid-week. 24-hour forecast: Sunny with a few cloudy spells today and cloudy at times tonight. Showers or thunderstorms will be isolated, except for a few more over the south tonight. Today: Winds: E-SE 10-20 kt..; seas: Moderate . ; waves: 4-6 ft.; isolated showers or thunderstorms. *Small craft caution* tonight. Tomorrow: Winds: E-SE 10-20 kt. ; seas: Moderate. ; waves: 4-6 ft.; mainly fair. Marine Outlook: Monday night:- Winds: East 10-20 kt. ; seas:- moderate-rough. ; waves: 5-7 ft.; mainly fair. General Outlook: For Monday and Monday night is for mainly fair conditions to prevail. On Ambergris Caye this morning we have a heavy overcast sky and clouds. The breeze is from the East and sea state calm. Our expected high is 89. Despite a lot of ITCZ activity all around us, Belize missed most of it and very little rain and none now. 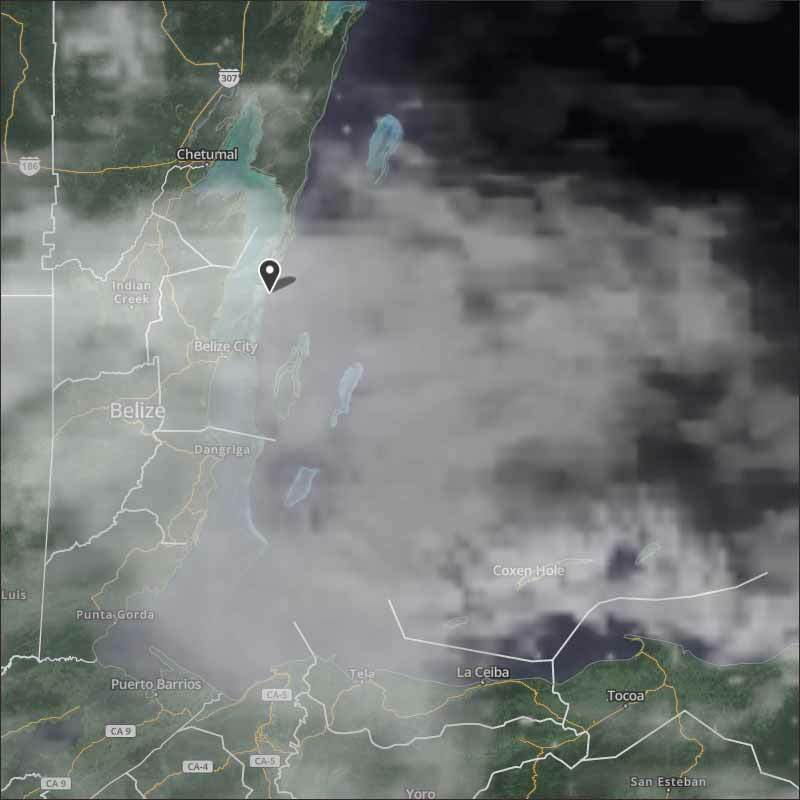 There is not much cloud in the Caribbean air even. Looks like today will be significantly sunny, with a fair bit of cloud around, I am not seeing indications of rain.